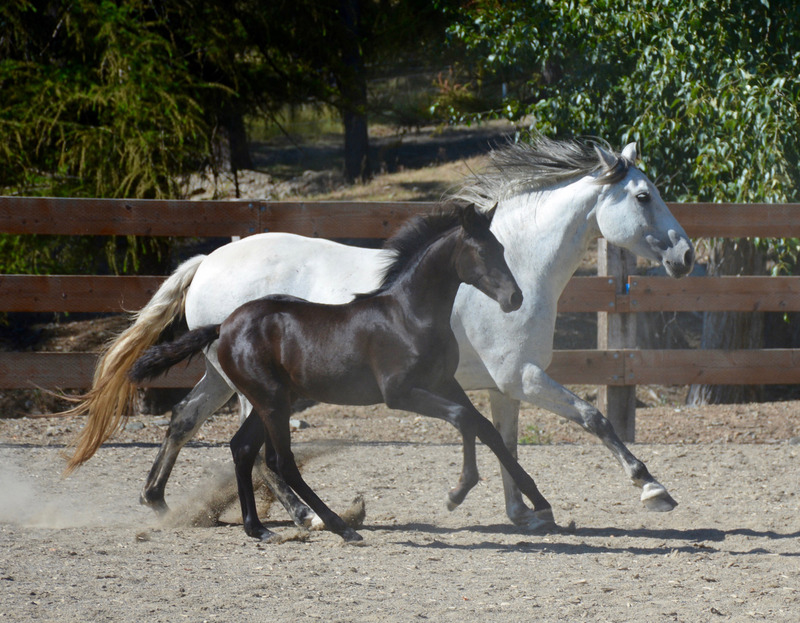 2010 Grey PRE Filly by Feudal VIII (Blue Moon Ranch), out of Revised PRE mare, Barossa FCF. 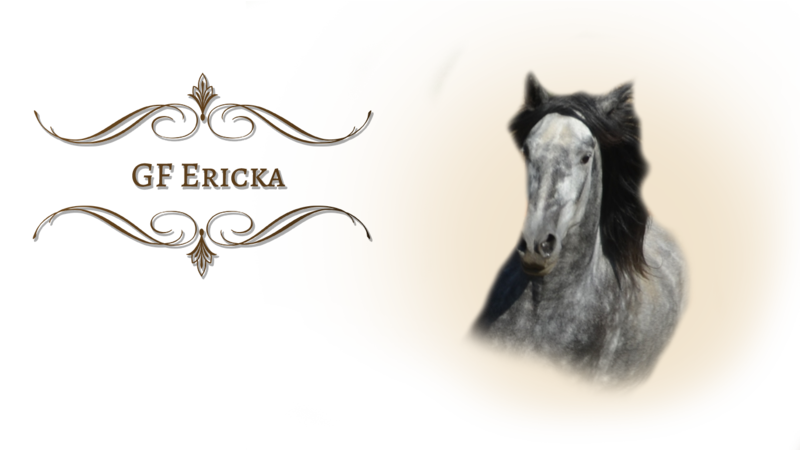 Ericka is a gorgeous combination of her sire and dam. She is very tall (16+ hands at 3 years old) and athletic with great bone mass and muscle length. She is an elegant, powerful mover with lovely suspension. She has excellent lateral ability and is quite an athletic filly. She is very curious and social with horses as well as people. She is naturally confident and engaging in and out of the arena. Ericka is very intelligent, learning quickly the games we have begun. Summer of 2012 we started Ericka in ground school beginning with the long lines and saddle. She has proven to be a good student, picking it up easily. She is a left brained extrovert, methodical and expressive. Her athletic ability combined with her showy personality create a very strong presence in the arena. She will be quite the show girl! Fall of 2013 we gave Ericka her official start under saddle. Spring of 2015 Ericka completed ANCCE Revision with excellent scores. She has matured to 16.3 hands with excellent bone mass and a mind that is a pleasure to work with. Spring of 2017 we transitioned Ericka into our breeding program. Her wonderful temperament, conformation, athleticism, and talent made her an obvious choice. That decision certainly has proven to be a good one with the arrival of her exceptional 2018 filly, Carisima. Ericka is back in foal to Magico VIII for 2019.